Aloha Nasal Pillow BUY Aloha CPAP Mask, Nasal Pillow, DeVilbiss Nasal Pillow, AL0100, RespCare Aloha. Aloha Nasal Pillow distributed by DeVilbiss is a lightweight CPAP Interface for Sleep Therapy. 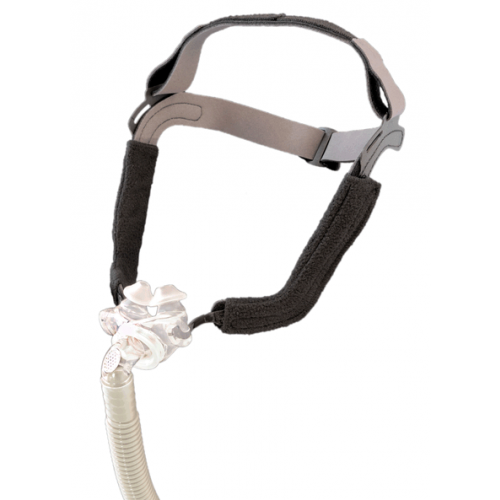 This quiet Nasal Pillow provides a stable and comfortable seal that CPAP patients love. Equipped with a ball-and-swivel joint and a hose swivel, the Aloha Nasal Pillow easily adapts to the needs of individual sleeping patterns. The angle and depth of the Aloha Nasal Pillow is adjustable to improve comfort and seal while minimizing potential discomforts. 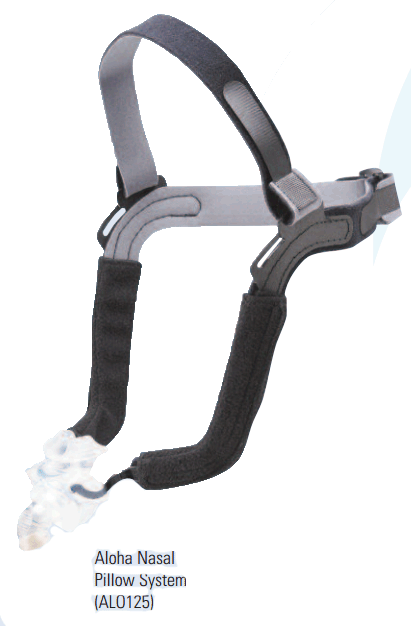 The advantage of the Aloha Nasal Pillow is the minimal contact with the CPAP patient?s face. 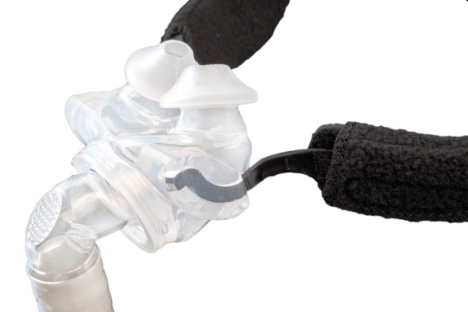 Adjustable headgear to meet individual needs. Removable and ultra-soft micro-fleece headgear wraps. Supple, soft and stable nasal inserts. Tubing Ring to secure hose, when routed over-the-head to headgear. Headgear wraps included to maximize comfort. Hand washable in warm, soapy water. 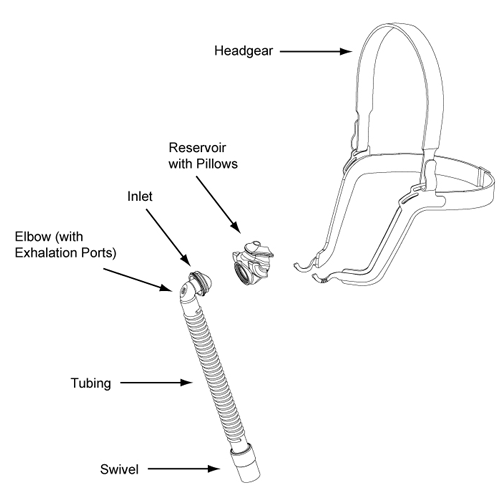 HCPCS codes: A7033 (pillows) A7034 (application), and A7035 (headgear). Probably the all time greatest pillow mask ever to come on the market. I love that it sits a little lower on my cheek than the swift masks and so away from my eyes. The pillows are soft and keep a seal. This is my second Innomed- Devilbiss mask and both have been great. You have to try this little pillow mask to believe it. It works so different than all the others because it moves up and down two brackets keeping a seal wile I sleep. I can wear the mask very loose and still keep my seal. You need to use it to understand. My mask is already a month old.